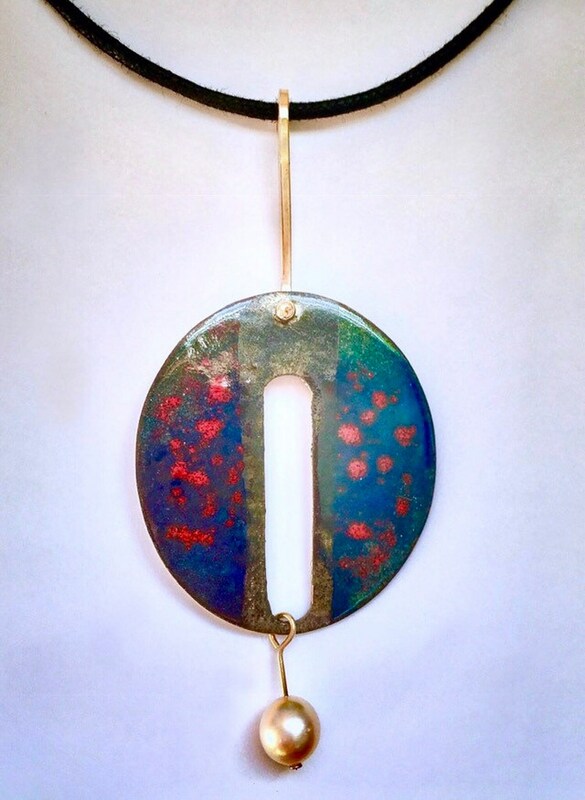 Contemporary necklace features multi-color vitreous enamel on copper. A 7.5mm cultured pearl is suspended from the bottom by a 14k yg wire; the entire piece is suspended by a 14k gold-filled handmade wire bale. Black cotton 16" neck cord.